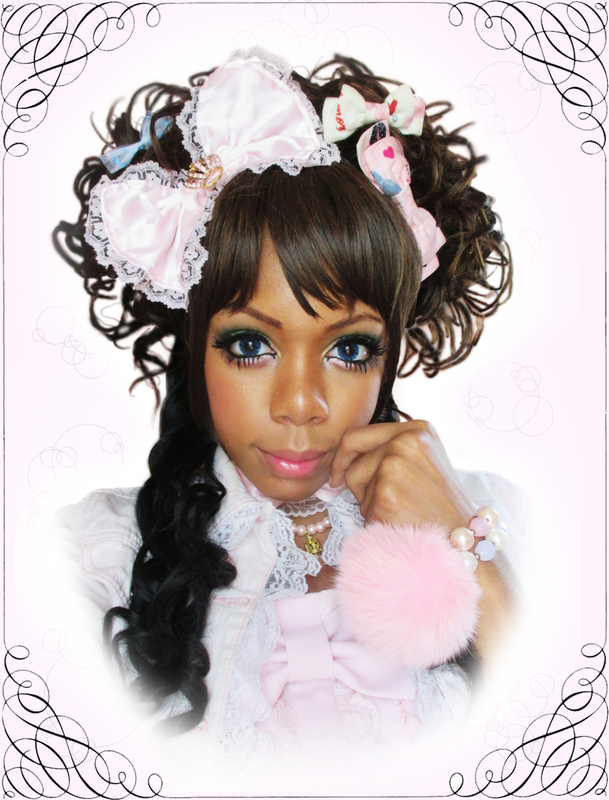 The circle lenses are the Vassen Diamond 3-tones. Like I knew I would, I grew attached to them. Also excuse the last image-- glue was still sort of drying in that one! 1) a pencil liner from "Kiss New York", some random brand I found in the local beauty store. Before that I used to use Urban Decay's black liner. I usually use pencil liners for waterlining, and as a base for the second layer of liner, as well as touch-ups. 2) "Ruby Kisses" HD Gel Liner in 'rich black'. Ruby Kisses is another generic brand from the local beauty store, but their quality is so good and this liner is BEAUTIFUL. When you apply it, it slides right on, it's actually pretty slippery, almost! It feels very fluid when you put it on but once it dries it's nearly impossible to budge without breaking it down with something oil-based. I have no issues with my liner melting off my face or smudging once it's dry, especially when I double-layer like I do. Lashes are also a combination of different pieces~ I do the usual 'frankenlash' trend of combining different parts of different lashes to get unique results and a "longer" band~ I don't usually coat my lashes with mascara... my lashes are naturally long and curled, so any sort of mascara will sometimes do more bad than good when it comes to my real lashes and my falsies coming together. This is the top lash I currently use (excuse whatever makeup excess that's on it--). It's a combination of Diamond Lash's "Angel Eye" halves (1 lash, halved) and a more full but natural lash I had bought from Taobao a while ago. Angel Eye being in the inner corner of the eye (the left in this photo), and the taobao lash towards the outer corner. This helps give me the appearance of really long lashes. I favor the look of really long and full lashes over the usual droopy eye look a lot of people tend to copy. This works best for my face.